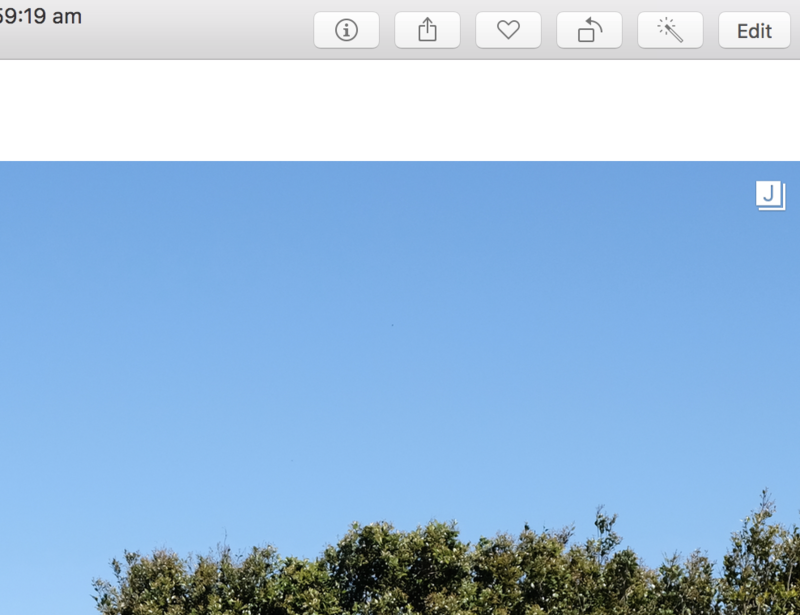 What does the 'J' icon on a photo in the Photos app mean? When you shoot RAW + JPEG the Photos app stacks the two images together. The J means you have a stack with a JPEG file and a RAW file and the JPEG file is used as original. To change to the RAW file go into edit mode (enter) and choose Image - > Use Raw as original. The letter will now change to a R.
Not the answer you're looking for? Browse other questions tagged macos high-sierra photos.app . What does hidden windows mean? What does “referenced file offline” mean in Photos? How can I see what photo the photos app is currently downloading from iCloud? What does the gray band at the bottom of some faces indicate in Apple Photos?